You had me worried for a minute.....this time I must remember to look at the calender. Another great day with some great food. The dog swimming laps in the flooded river was a worry for a while though. 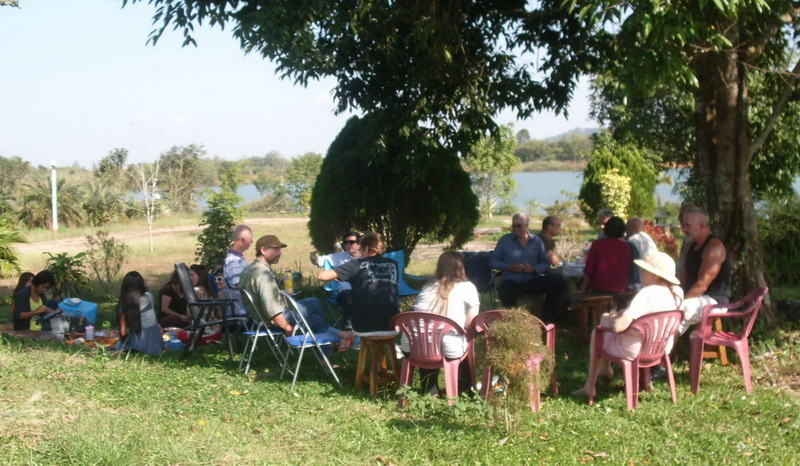 In the absence of the Chiang Rai Pot Luck founder, Scorpio45, the twenty third CR Pot Luck Picnic will be held on Sunday, 26 August at 13:00 at our rainy season alternate location. It is the public park located on the river between the two bridges and a little west of the Legend Hotel. What is the pot luck? Anyone and everyone is welcome. Everyone brings a dish or dishes enough to feed themselves, if that was all they ate, and a little more. The food is typically home-cooked outdoor comfort food, maybe not good for the waist but oh so good. Frequent dishes are potato, tuna, chicken, macaroni and green salads but the list is endless. 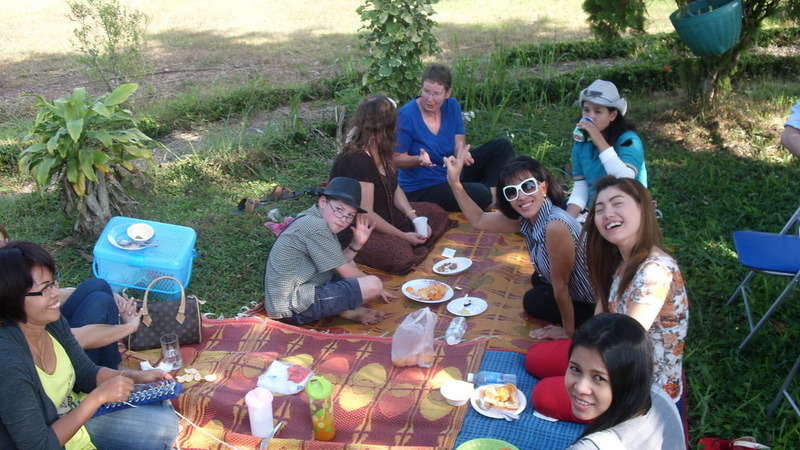 Some of the more interesting dishes have been some of the attendees from non-English speaking countries. There are always some Thai dishes as well for our contingent of Thai wives and gf's to graze upon. Home cooking is what makes the pot luck picnic special but dishes from a deli or the Pizza Company, KFC, etc. are warmly welcomed as well, if you’re a non-cook or in a rush. What does not get eaten you take home. You should also bring plates, flatware, glasses and what you are drinking. If you forget, someone always brings some spares. Chairs, if you have them are not necessary but are useful. The only other requirement is a smile. With scorpio1945 out of country, it looks like no one can be bothered to post even photos anymore. we are waiting for you to come an d take some. we are waiting for you to come and take some. Careful harrry, you may get excommunicated for consorting with the devil. It might be fun to show up unannounced though. I would no doubt get some interesting photos. Maybe the breakaway forum has exclusive rights to them now? I’m sure Scorp would not be so petty and withholding. He will surely post when he gets back. Hope they are having a great time but he did complain of no phone or internet. Maybe that is a good thing. Posting links to other forums is not allowed, a post has been removed. Well it was a little more complex than normal but we will be moving back to our original location at the CR Ag Research Center for the un-rainy season. 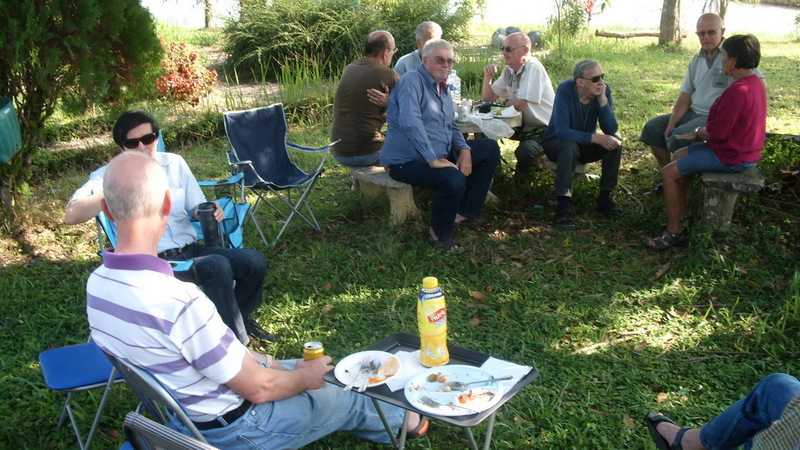 The 26th Pot Luck picnic will be held on November 25 at 13:00. Maybe we will get some leftover from some of the Thanksgiving dinners planed. Love them left overs. If you are new, back up a bit in this thread or give me a PM. Well, we had a small but very lively group this time. Several wives, including mine were on a tour to Burma and a couple of others had conflicting obligations. 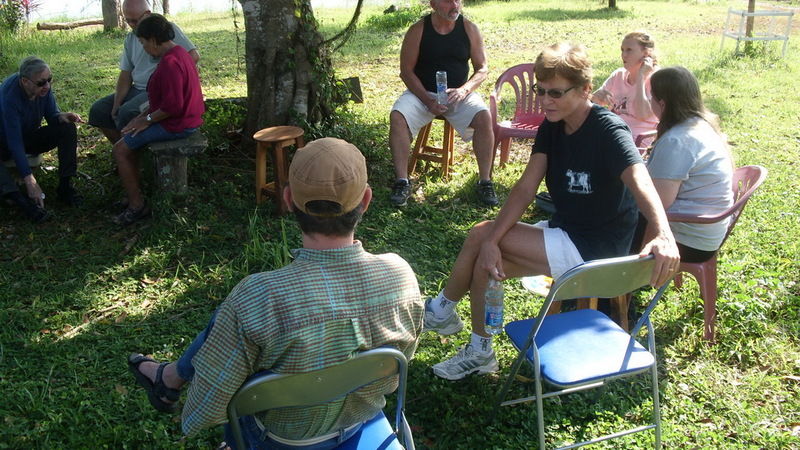 The conversations covered an untold number of differing topics as well as information sharing. Through luck of whatever, the menu still turned out great. I always worry that we could end up with all deserts or all vegetables but it always works out great and today was no exception. We missed out regular desert queens but our youngest attendee filled in quit well with delicious mini cinnibons. Wonderful. On another subject. One of our regulars expressed a preference to having the Pot Luck Picnic all the time at the riverside park. if you have a preference on way or another please let me know. The 27th CR Pot Luck Picnic will be held Dec. 30 at 13:00 at the CR AG. Res. Center (the original location). There was some discussion about permanently moving the location to the public river park. As yet there has not been a strong preference one way or another. 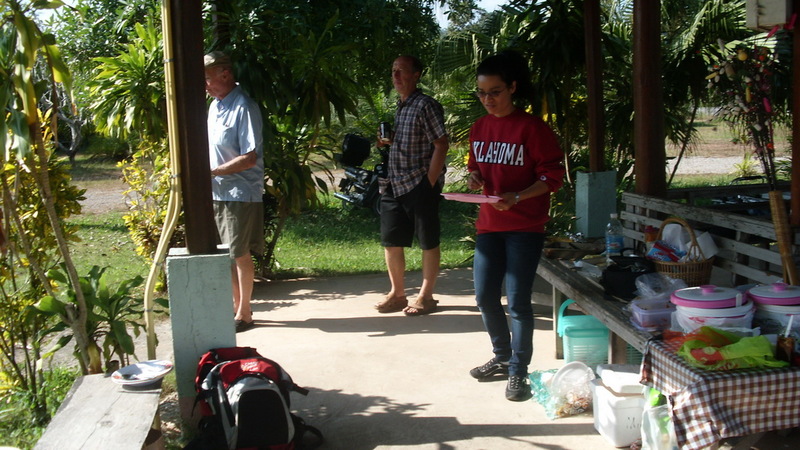 Since the Research Center did a lot of work to clean the place up I feel we should at least have one more picnic there. Again if you have a preference one way or another AGAIN let me know. Thanks for the pictures scorpio and thanks for being such a gentleman and standing above the fray.